Would you like to improve your left hand? 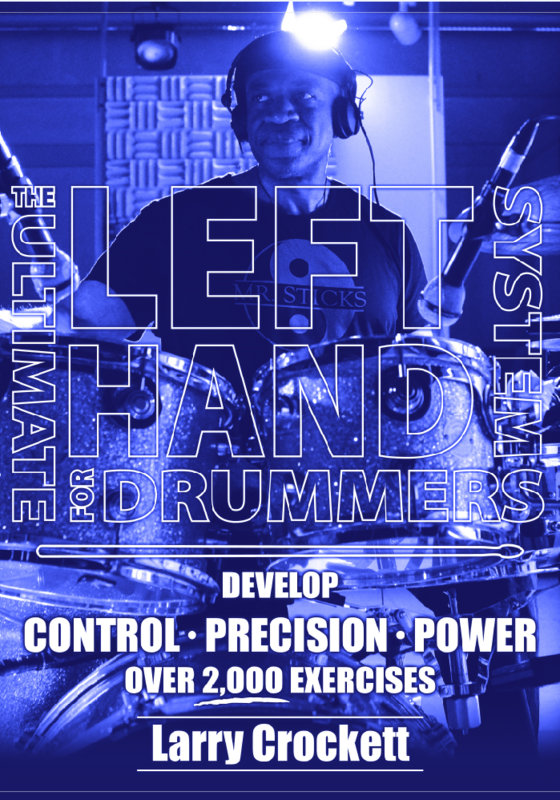 The Ultimate Left Hand System for Drummers is the most comprehensive book ever writtn with the sole purpose of developing the left hand. By focusing 100% on the weaker hand, progress is efficient and noticeable. If your left hand is not up to the level that you want it to be, this is the book for you. Larry Crockett aka “Mr. Sticks” is a very respected internationnally known touring drummer, bandleader, author and clinician. His first drum book “Drumset Rudiments” was highly endorsed by top drummers such as Phil Collins, Dennis Chambers, Carmine Appice… He has worked with The Four Tops, Martha Reeves, Sam Moore, Eric Bibb, J.J. Milteau, Liz McComb, Poppa Chubby and many others. His band is called Larry Crockett & The Funky Cherokees. He lives in Paris, France. Larry proudly endorses DW Drums and Vater Drum Sticks.